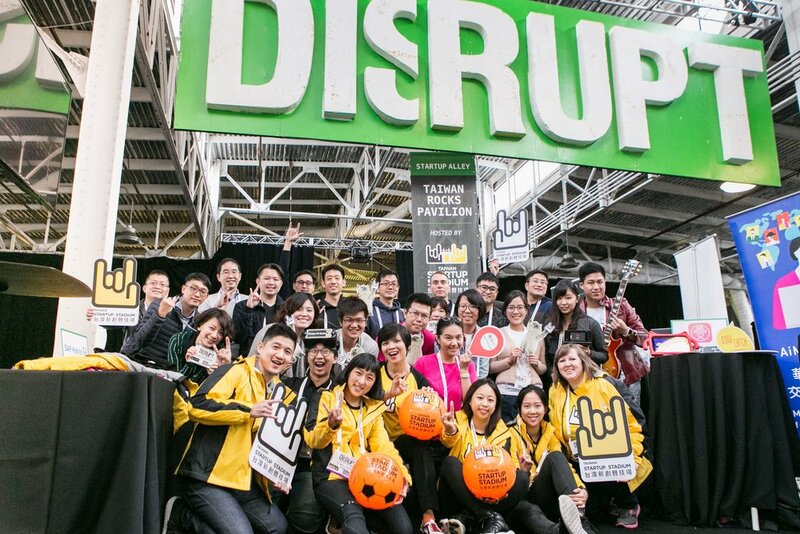 In part 2 of the Taiwan Turnaround series looking at how Taiwan’s internet tech scene is catching up, TechNode talks to VCs, accelerators, and entrepreneurs about how they are helping Taiwan startups to go global. Next, in the series, we check in with some star players about the talent issue in Taiwan. Read Part 1, Part 3 and Part 4. 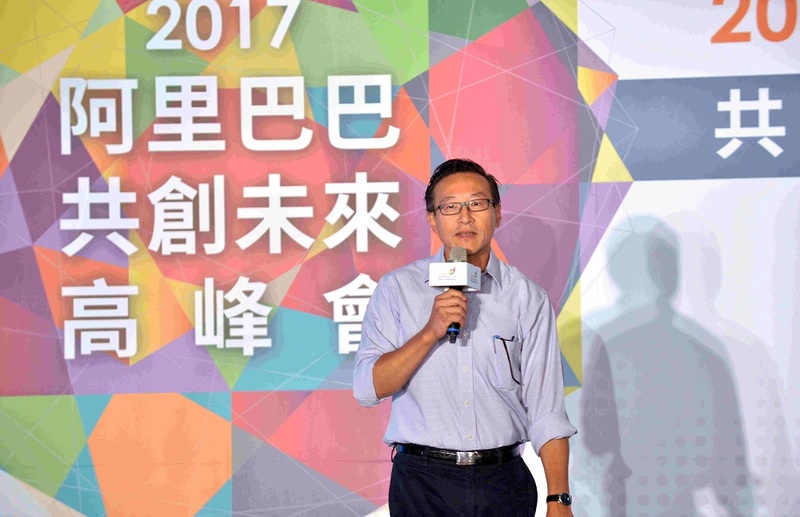 In a keynote speech in 2013, Dr. Kai Fu Lee, one of the most prominent figures in the internet sector to have come out of Taiwan, remarked that the island’s innovation industry was sick (in Chinese). He pointed to Taiwanese entrepreneurs’ lack of global mindset and said that tough medicine was needed. Four years on, Taiwan is following the prescription. Private investments together with government initiatives and funding have been growing, and helping Taiwanese internet startups to go global is their top priority. Although sharing the same language, the scale and complexity of the mainland market are drastically different from the local market in Taiwan. Mainland China’s B2C e-commerce sales are projected to surpass $1.1 trillion in 2017 and will account for half of the world’s e-commerce market. Its internet industry is dominated by major players such as the BAT and from whom a rich internet ecosystem has flourished. While Taiwan enjoys a high mobile penetration rate and the portion of its residents who shop online is the third highest in the world (after the US and the UK), the market size is small (e-commerce sales reached $34 billion in 2016). Its startup ecosystem is fragmented with many small players. For startups there to scale up, they must expand beyond Taiwan. And Alibaba would like to help. In 2015, Alibaba committed TWD 10 billion or roughly $332 million to set up its Taiwan Entrepreneurs Fund (TEF) to help Taiwanese startups to crack the mainland market, and for a more important goal. Other than funding, Alibaba TEF offers access to services and tools in its vast ecosystem, such as e-commerce and logistics platforms, cloud computing, and big data. Of the 11 companies that have received funding so far, Jolly Wiz, a company providing e-commerce services such as branding and promotion to clients, is already operating comfortably on Alibaba’s TMall. Alibaba has a strong Taiwan connection in the form of its vice chairman, Joe Tsai. 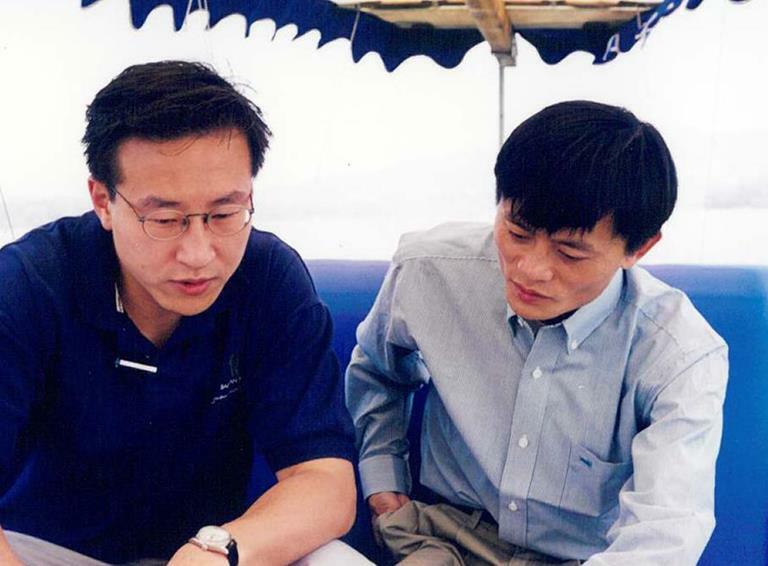 Born in Taiwan, Tsai was educated in the US and worked as an investment firm executive before joining Alibaba in 1999. He went on to help incorporate the company. Tsai is considered Jack Ma’s right-hand man and no. 2 in the company. A digital magazine has even taken to calling him the Jeff Bezos of Taiwan. At the recent Alibaba TEF Forum, Tsai praised the strong potential of Taiwan as a base and a market for entrepreneurs and pledged that Alibaba will not only provide its platforms but also its technology to help the startups from Taiwan to thrive. The hottest market in the internet sector now is Southeast Asia, with the potential for a $200 billion internet economy. Which is why the Mobile Only Accelerator (MOX) is dedicated to helping mobile applications startups that have their sights on Southeast Asia, but also other growth markets such as South America and Eastern Europe—where the next “four billion”, or the number of yet unconnected but future internet users, reside. Nestled in the spacious Center for Innovation Taipei, MOX shares its office with other startups and entrepreneurs in the busy hub. The accelerator was started in 2016 by the American SOSV venture capital fund, which is also known for its other accelerator programs such as Food-X, HAX, and Chinaccelerator. That relationship refers to the business model of MOX. 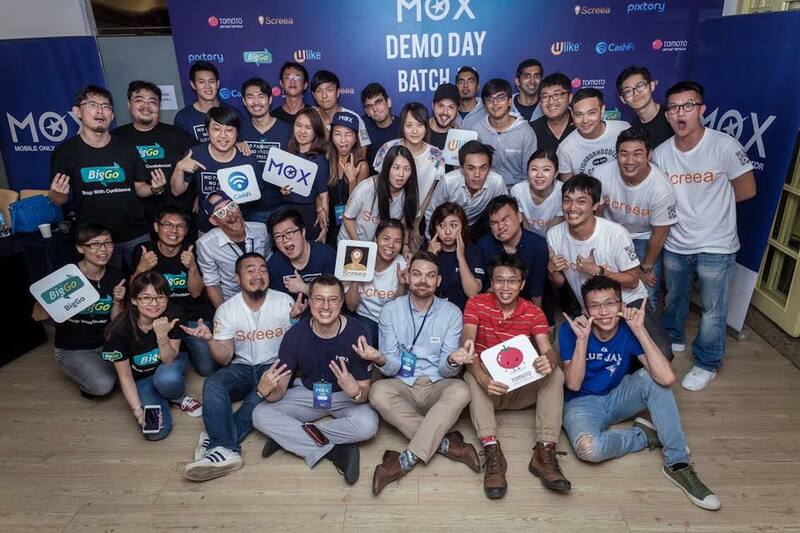 Their deal offers partnering startups $30k convertible note for 6% common stock and the chance to attend the MOX accelerator program in Taipei. Partnering startups can also take advantage of MOX’s SDK payment platform which provides a mass distribution network in exchange for 40% of the revenue earned. When we visited Taiwan Startup Stadium’s (or TSS) office, it was empty as most of the team was away at the RISE conference in Hong Kong with a delegate of Taiwanese startups. However, VP of Operations and Startup Development Jeffrey Ling was there to hold the fort down. Ling was talking about the Taiwan Rocks USA tour designed especially to gain Taiwanese startups exposure to investors, media and partners in the US. It’s part of the free mentorship program that TSS runs to help startups expand beyond Taiwan and equip them with the skills to do so. TSS was set up by the government in 2015 after hearing feedback from the startup community that more support and resources were needed to help Taiwan startups to globalize. Since then, TSS has been active in the community and playing an important role in the startup ecosystem there. The initiative was commended by the American Chamber of Commerce in its 2017 Taiwan Whitepaper for its efforts to “plug Taiwan into the world startup ecosystem”. Dr. Kai Fu Lee was tough in his criticisms of the Taiwan internet industry. However, it was probably because he knew from his hometown’s history that the potential of its people could lead to something greater. The former Google executive turned venture capitalist said the hunger and drive of entrepreneurs in the mainland now reminded him of what Taiwan was like 30 or 40 years ago, when its successful hardware industry was beginning to develop and globalize. “If Taiwanese entrepreneurs want to forge a path in the internet industry, they must find big markets!” said Dr. Kai Fu Lee.